Do you want to do something fun this Christmas? 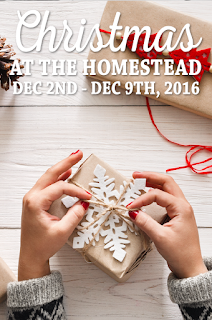 Christmas at the Homestead is an event you will love to go to more than once! Each night there will be different performances, Christmas stories, dances, and crafts. Oh! And we can't forget about Santa! He'll be there every night to talk to the children. Music and dancing will happen each night at 6 pm and 7 pm. Christmas stories will be read at 6:30 pm and 7:30 pm each night. Kid friendly holiday crafts will also be available!